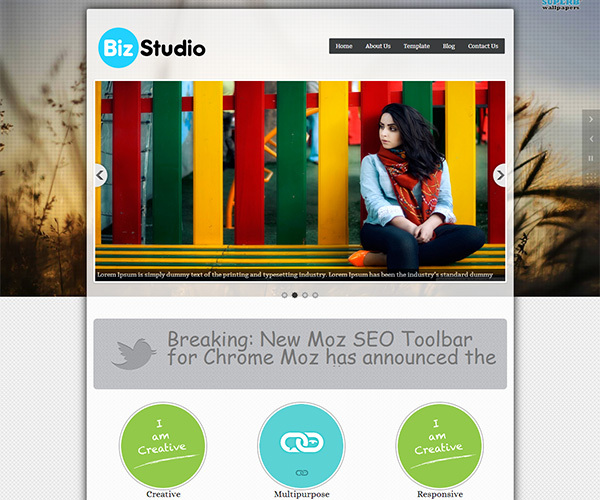 Bizstudio WordPress Theme is a Simple, Minimal, Responsive, One Click Install, Beautiful and Elegent WordPress Theme. Along with the elegent design the theme is highly flexible and customizable with easy to use Admin Panel Options. From a wide range of options some key options are custom two different layout option(full width and with sidebar), 5 widget areas, custom follow us and contact widget, Logo, logo alt text, custom favicon, social links, rss feed button, custom copyright text and many more. Also it is compitable with various popular plugins like All in One SEO Pack, WP Super Cache, Contact Form 7 etc. It is translation ready as well. You can choose from nine different home page layout options to choose from that suits best for your website. 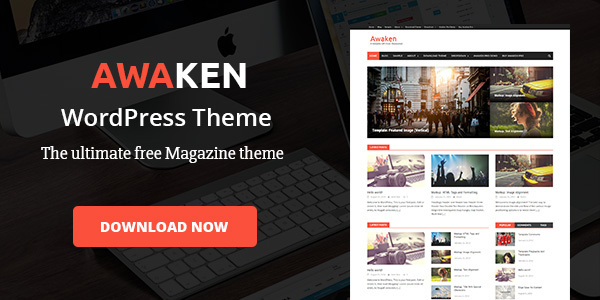 Best for bloggers, business companies and more.